This article on The Best Acquirer's Multiple Stock of 2018 was written by Colin Richardson. Colin is a private investor based in Alberta, Canada. He focuses on applying a quantitative strategy to eliminate behavioral biases in his personal account. Article image by Broken Leg Investing. As 2018 comes to an end, it’s time to crown the best Acquirer’s Multiple stock of the year. Based on The Broken Leg Investment Letter, the winner is (drumroll, please…) Safestyle UK plc. After being recommended in the August edition, Safestyle has appreciated more than 150%. A $1,000 investment has become worth $2,546. Did you check your email in time to profit from the best Acquirer’s Multiple stock? Hopefully! If not, it may not be too late. Is There Still Time to Profit? Safestyle came onto our radar with a cheap stock price compared to 2017 fiscal year-end earnings. For reasons we’ll dive into later, its operations were struggling. However, it hasn’t always been difficult times for the United Kingdom-based company. Established in 1992, Safestyle has made significant profits from the installation and replacement of PVCu windows and doors. It serves homeowners with 36 sales branches and 12 installation depots throughout the nation. Safestyle takes pride in providing high-quality, energy-efficient products and state-of-the-art in-house manufacturing. Currently, Safestyle has established itself as a leader in the field. Its best year came in 2016, when it dominated its competitors by owning 10.6% of market share. This generated £163.1 million in revenue and £0.19 earnings per share — both record-setting levels. Safestyle ended 2016 on a high note, and its future looked bright. No one could have predicted the series of events that was about to take place. Safestyle became publicly traded in 2013 with an initial public offering (IPO) of 150 pence per share (p). Since assuming the SFE ticker on the London Stock Exchange, its shares have reached a high of 320p and a low of 33.84p. Although this is a large range of prices, it never actually dropped below the IPO threshold until February 2018. What this tells us is that something happened in late 2017 and early 2018 that made investors question Safestyle’s worth. Now, you might be wondering how a company can go through a crisis and be the best Acquirer's Multiple stock — all in the same year. Unfortunately, this is an inexplicable case of market psychology. All we can do is look back over the last 12 months and learn from a great comeback story. Throughout 2017 and into 2018, Safestyle’s management started to warn shareholders that they would be facing challenges in the future. As time went on, interim results revealed that operations were suffering from a sharp decline in the market for PVCu windows and doors. Customer confidence and profit margins also were deteriorating. Every update shared the news of worsening conditions. A trading update on February 28, 2018 specifically stated the Group's order intake in 2018 to date has been disappointing and below our expectations. Investors were not taking this news lightly. On that day, SFE stock dropped a significant 37.5%. Shareholders were panicking, and the stock suffered because of it. Although the declining market was causing challenges for Safestyle, there was another reason for its struggles. Its founder, Mitu Misra, left the company back in 2013. What makes the story interesting is that after he left, he didn’t stop impacting the company. Misra founded a competitor that would serve within the same industry as Safestyle. He named it Niamac Developments Ltd., which would trade as Safeglaze UK. The alarmed Safestyle management did not welcome its new opponent. On May 21, 2018, Safestyle filed suit against Niamac, claiming Misra and his new team were misusing confidential information and partaking in unlawful means of conspiracy and falsehood. At a time when Safestyle needed leadership the most, Chairman Peter Richardson resigned from his position on May 29, 2018. He claimed the court case, market conditions, and other challenges were more than he could manage. In August 2018, The Broken Leg Investment Letter recommended Safestyle stock. If subscribers had been following the narrative over the past year, it would appear the company was in store for an unpredictable and risky future. Although this was outwardly the case, deep value investors would have found some positives in the current situation. First, the stock was trading at a significant discount to earnings. The best way to measure this is through the Acquirer’s Multiple — or enterprise value (EV) / earnings before interest, tax, and depreciation (EBITDA). EV equals market capitalization + total debt − cash & equivalents, plus short-term investments. Based on fiscal year 2017 data, Safestyle’s EV was calculated at £19 million. EBITDA — the denominator — was £17 million in. Thus, Safestyle’s Acquirer’s Multiple was a mere 1.1x! To get an appreciation for just how cheap this was, let's consider the Acquirer’s Multiple of comparable companies. At the time, the United Kingdom’s general retail industry had an average Acquirer’s Multiple of 8.4x. Safestyle was selling for an 86% discount compared to the industry. Next, with signs of a challenging future on the horizon, Safestyle’s management reminded us that it was committed to maintaining a strong cash position. Not only did it not spend cash, but also found ways to save money by suspending a 7.5 pence per share dividend payment. Had it gone through; it would have been 11.25p for the year and a 35% dividend yield. 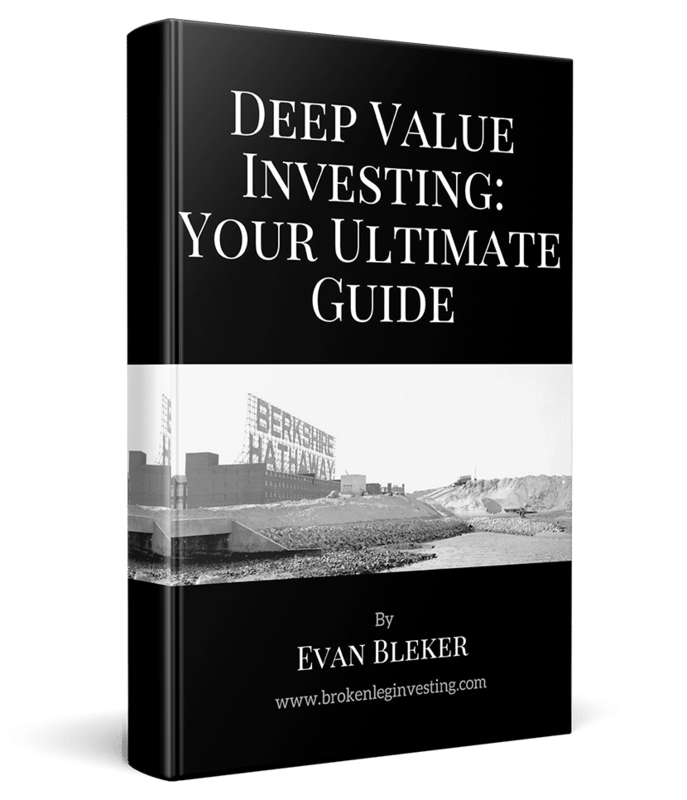 As deep value investors, dividends aren’t something we really worry about. In Safestyle’s case, we actually preferred it preserving the cash. It increases current assets available that can be used to rebuild the company. Lastly, Safestyle management was not acquiring any debt obligations. This kept the company’s debt/equity ratio at 0% for the third year in a row — a great sign that management was committed to keeping liabilities low. Thus, what appeared to be an uncertain time for Safestyle was actually a great time to purchase its stock. At 35.80 pence per share, there was not much to lose for investors. At the least, it was a fair company selling for a wonderful price. On September 3, 2018, Safestyle reached a settlement with its familiar competitor — Niamac Developments. Misra was ordered to change the Safeglaze branding he had created and stop misusing confidential information. More good news would come for Safestyle as Misra also agreed to sign a non-compete agreement. In exchange for four million ordinary shares and £2 million cash, Niamac cannot compete with Safestyle for the next five years. 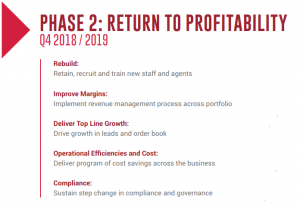 As the drama came to an end, Safestyle management focused on the future, initiating a three-phase turnaround plan. As investors started to regain confidence, the best Acquirer’s Multiple stock developed steam. After the news of both the settlement and non-compete agreement emerged, the stock rose over 53% in just two months. It traded at around 80p on October 22, 2018, which made for a 123% return for The Broken Leg Investment Letter subscribers. 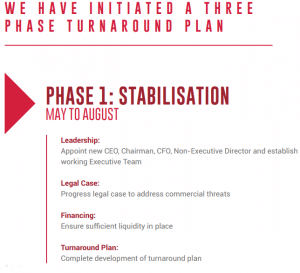 Currently, Safestyle is in phase two of its turnaround plan. Management is focused on improving margins, driving growth, saving cash, and ensuring compliance with regulations. 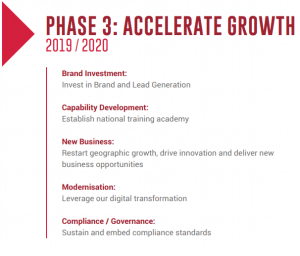 By this time next year, we should see Safestyle advancing into phase three. This timeline should be achievable with Safeglaze and Misra no longer a threat. SFE stock currently trades at 77.50p and a market cap of £64.5 million. Using the FY 2017 data, this makes the current EV just £53.5 million. Divided by £17 million in EBITDA, Safestyle’s Acquirer’s Multiple is still only 3.15x. This means the best Acquirer’s Multiple stock of the year is still dirt cheap. Remember, industry comparables average an 8.4x EV/EBITDA. It would still need to rise 136% to reach parity with the market. If you prefer to use multiple valuation methods, consider Safestyle’s current price/sales ratio. When it was recommended on the investment letter, p/sales was 0.19x. With the rise in stock price, it is now at 0.47x. Although significantly higher, it should not be considered fair value by any means. Lastly, the stock still trades at a significant discount to its 52-week high of 203p. A 161.95% increase would need to be achieved to reach par with its previous level. Earlier this month, new Chairman Alan Lovell announced he had purchased 30,000 ordinary Safestyle shares. This came after CEO Michael Gallacher announced he had acquired 50,000 ordinary Safestyle shares. There is only one reason why insiders would make such a significant purchase — they so believe in the restoration of operations that they’re willing to bet money on it. This is a great sign of good things to come for Safestyle. Hopefully, you had the chance to profit from the best Acquirer’s Multiple stock. If not, there still may be a chance to purchase it for cheap! This entry was posted in Broken Leg Companies and tagged Acquirer’s Multiple, Safestyle UK Plc, The Broken Leg Investment Letter. Bookmark the permalink.